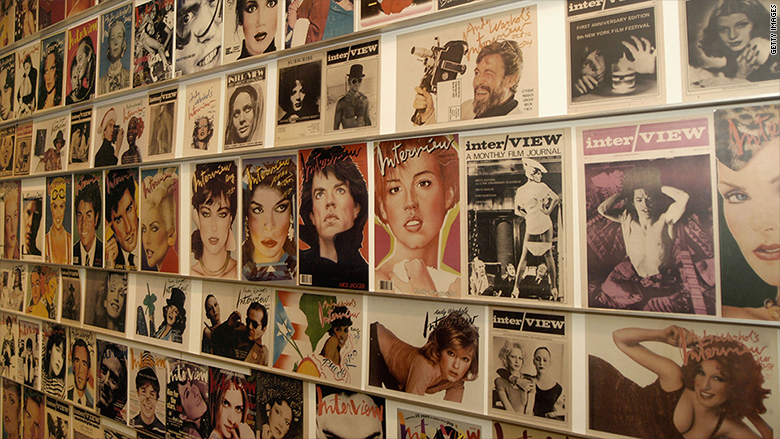 "After 10 months at my dream job at @InterviewMag, today is sadly my last day as the magazine has closed," tweeted Trey Taylor, the senior online editor at the magazine. Ezra Marcus, an editor at Interview, confirmed to CNNMoney in an email that the magazine is "folding both web and print effective immediately." He said staffers were told at an all-hands meeting on Monday that the company is filing for Chapter 7 bankruptcy. It's a painfully familiar story these days for those working in news media, where layoffs, cutbacks and outright closures have become commonplace. Meredith Corp. (MDP), which bought Time Inc., is currently in the process of selling off several of the old company's iconic brands, including Time Magazine. 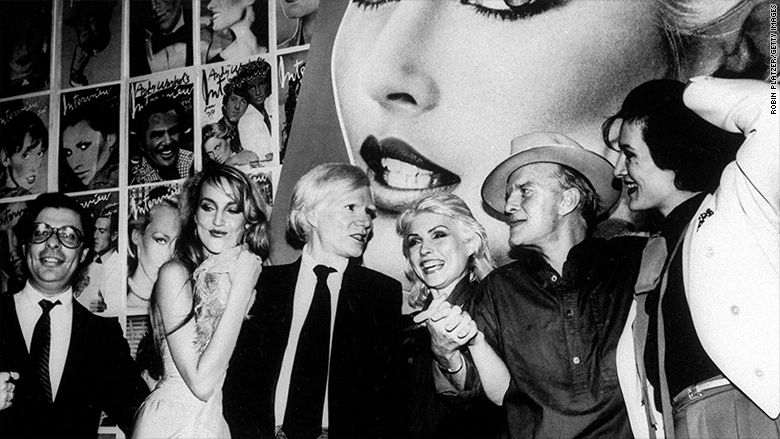 Interview was founded by Warhol in 1969, and was bought by the billionaire Peter Brant from the late pop artist's estate in 1989. The magazine relaunched in 2008 under new editorial leadership. Earlier this month, the magazine was sued for $600,000 by a former editorial director who claims he wasn't paid by the magazine.